We love strawberries and this year we got an ice cream machine so natch I HAD to make strawberry ice cream. It tasted so good that I never got around to photographing it until recently. 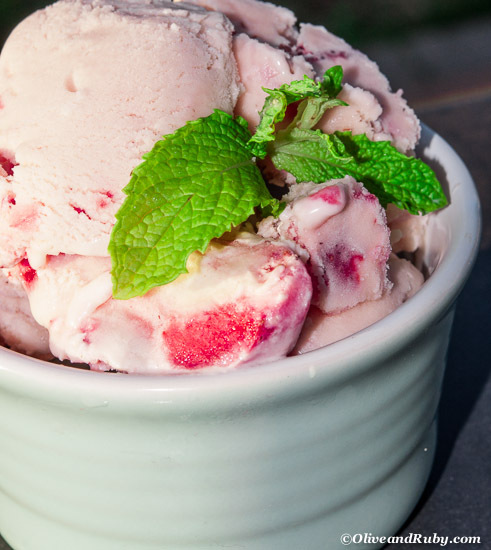 The seasons are changing, the number of daylight hours are getting shorter, but at least I've got strawberry ice cream in my fridge to remind me of long, hot summer days. 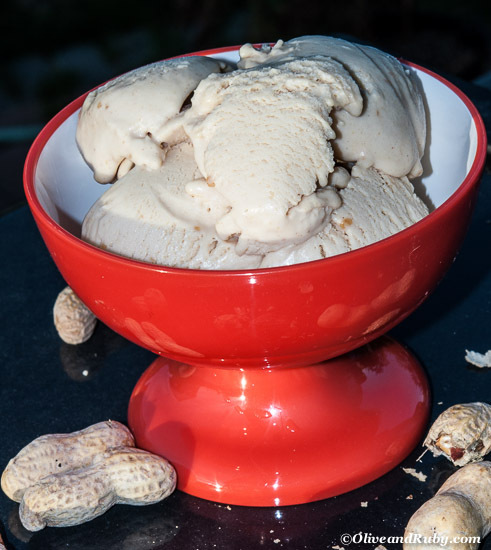 For the last weekend of summer, I recreated an old family favourite - Peanut Butter Ice Cream. It tasted absolutely wonderful with ribbons of peanut butter randomly strewn throughout (a fortunate) mistake that I take full credit for.